If your kids are anything like mine…they love trying new apps on their electronics. And if the app is engaging enough, it will keep them busy during long car rides and during those moments when Mommy just needs a few minutes of no fighting amongst siblings. The latest app we downloaded and has my kids busy during story time is called Peter and the Wolf in Hollywood, which is a revival of the classic Peter and the Wolf. In this version Peter goes to Hollywood to meet his hippie grandfather while bringing classical music elements to life. Peter, along with all of the characters in the movie book, are narrated and brought to life by Rock n’ Roll legend, Alice Cooper. We got the deluxe version on the ipad which is basically a musical storybook with 8 interactive games within the story, as well as behind-the-scenes extras. The story from start to finish will keep your kids engaged and even Mommy relaxed as classical music is played throughout the storyline. The National Youth Orchestra of Germany performs pieces from Prokofiev, Wagner and Mahler to name a few. And in the bonus features your kids will learn that each character is played by a specific instrument. I must admit that my kids are not exposed to classical music on the regular, so this app incorporates it in such a beautiful and fun way for everyone in the family to enjoy together right at your fingertips. My eldest daughter (8) was interested in the app the most and she showed Mommy how to use it! 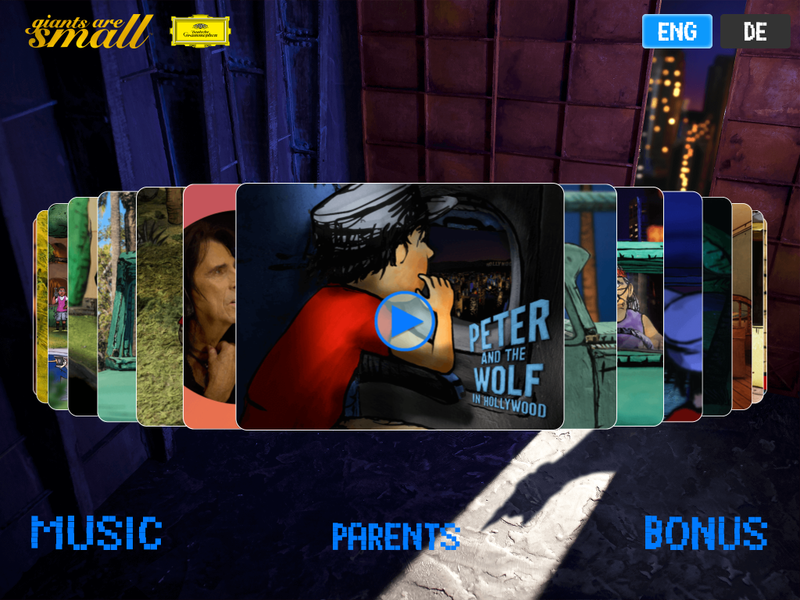 Check out Peter and the Wolf in Hollywood to download the app. Connect with Peter and the Wolf in Hollywood on Facebook and Twitter. Disclosure: This is a sponsored campaign post through Giants Are Small and Mom Select but as always, all opinions are my own.